The Foster RotaTrim Technical Rotary Cutter saves time and money. TheRotatrim Technical is identical in form to the DigiTech+ except that its design adds a triple roller mechanism to provide extreme down force for the cutting of heavy materials. It also features special Sheffield tool steel blades designed to offer enhanced durability under extreme operational loads. With high chromium content, these blades are exceptionally slow wearing, even when cutting the most abrasive materials. 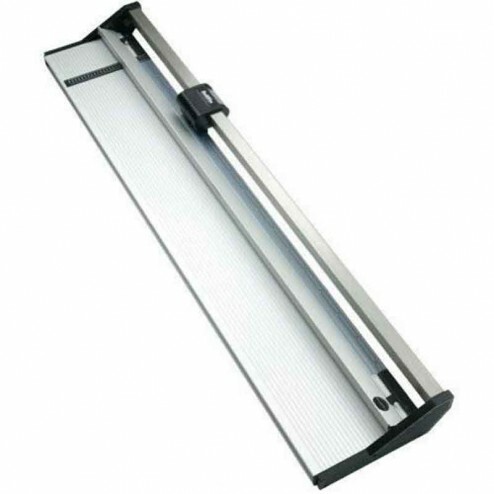 A single 1 1/2″ stainless steel guide rail completely eliminates head swivel.